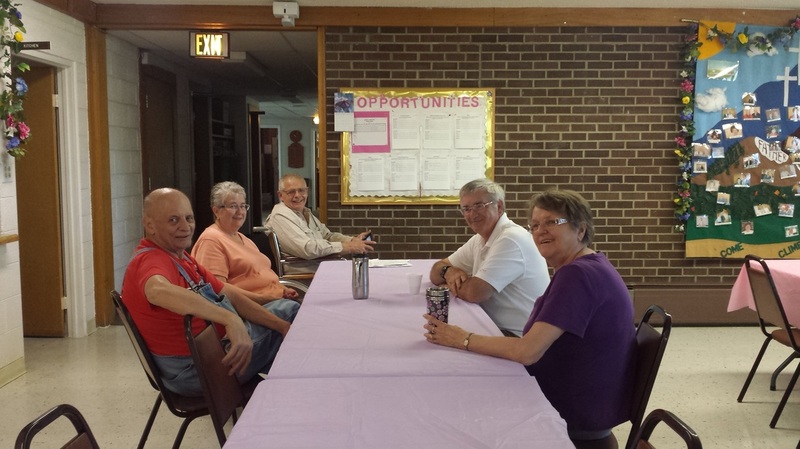 A few Worker Drones and Food Pantry volunteers take a coffee break. Did you know that church buildings require the same upkeep as homes? There is weekly cleaning, spring cleaning, yard work, light-bulb changes, salting icy sidewalks, and much, much more that needs to be done to make Sunday (and everyday) safe at CLC. Each week a small group of volunteers known as the "Worker Drones" meet to ensure our building is cared for. Without them, we could not be the home to our members and community groups that we are. Call the church office (303-798-1424) if you're interested in becoming part of this ministry.